How will a home inspection benefit me? The purchase of a home is the single most costly investment most people make, and you want to know what you are getting for your hard-earned money. It is important that you learn as much as possible about the condition of the home and the need for any major repairs before you buy, so that you can avoid any unpleasant surprises and difficulties later. Inspections are a good way for home buyers to assure themselves that the home they are buying is in good condition. It is very important for buyers to check out the property before closing, although sellers are to reveal any problems with the house that have to do with health and safety. A home inspection is neither an appraisal, which determines the market value of a home, nor a municipal inspection, which verifies compliance with local codes. A real estate agent will not determine for you the condition of the property. It is your responsibility as a buyer to ascertain the condition of the property. A licensed, professional inspector is best qualified to make an unbiased and objective evaluation of the functionality of an item or if it is in need of repair or replacement. A home inspection is an independent visual examination of the physical structure and systems of a home, from the roof to the foundation. A standard inspection includes all structural items, mechanical and electrical systems, and appliances, as well as a check for water penetration. An environmental inspection, as well as a termite inspection and inspections of gas lines, swimming pool/spa, sprinkler systems and septic systems, would usually be considered additional, and these services may or may not be offered by a particular inspector. “Cosmetic” items are usually not noted because they are not included in your contract. In addition to potential problems, an inspection also points out the positive aspects of a home, and whatever maintenance would be necessary to keep it in good repair. What should you look for in selecting an inspector? 1. Engineers or Architects: These professionals have formal training in home construction, and have passed an extensive examination given by the state. 2. Members of Major Trade Organizations: These inspectors are the most qualified group. They have satisfied continuing education requirements in home inspection. 3. General Inspectors: This third group has no professional certification and is not recognized by trade organizations. Try to use an inspector who is licensed in the state unless you personally know the inspector you are going to use. Also, membership in a trade association will ensure that the inspector is committed to a certain code of ethics and policies. Are all mechanical/structural inspections the same? No. There is considerable variation in inspections between inspectors. Some inspectors will check items like shower pans, window air conditioning units, gas lines, windows, decks, patios, oven temperatures, water heater temperature and pressure relief valves, solar heating systems, attic insulation, etc., while other inspectors may not inspect these items. Be certain at the beginning of the home purchase experience of what will be inspected and include all the items you feel important, such as if the inspector will crawl under the house or go up into the attic. A complete structural and mechanical inspection of an average 2000-square foot home on a slab foundation will usually take about 2-4 man hours. Additional inspections of pier and beam foundations, swimming pools, sprinkler systems, or if you have a lot of questions, will take longer. 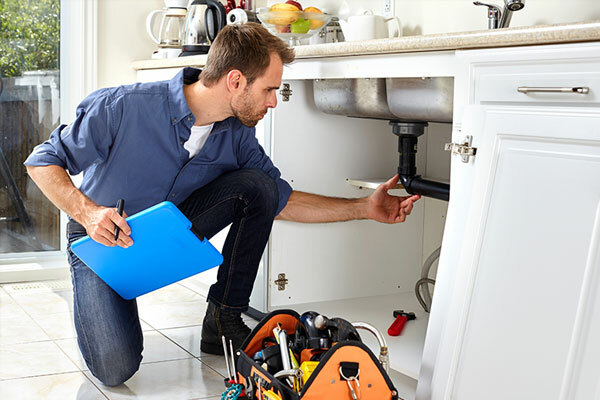 You, the buyer, should always try to be at the inspection because of the questions that may arise about problems that may be found or maintenance tips that may be passed on. The inspection report should be provided after the inspection so that the repair request can be submitted within the contract time restraints. Inspection cost will vary on the home size, add-ons (swimming pool, spas, sprinklers, gas lines, etc.) and between inspectors. Inspection cost is too often the deciding factor in selecting an inspector. When purchasing a $100,000 home, a $10-15 dollar difference in inspection pricing may preclude choosing the more experienced inspector. Many inspectors invest considerable time and money in continuing education for their clients, providing hand-outs and detailing information in a very helpful way as you evaluate your potential purchase.